World Nature Conservation Day was celebrated on 28th July. Hon. Mayor Sri. V K Prasanth inaugurated the function. 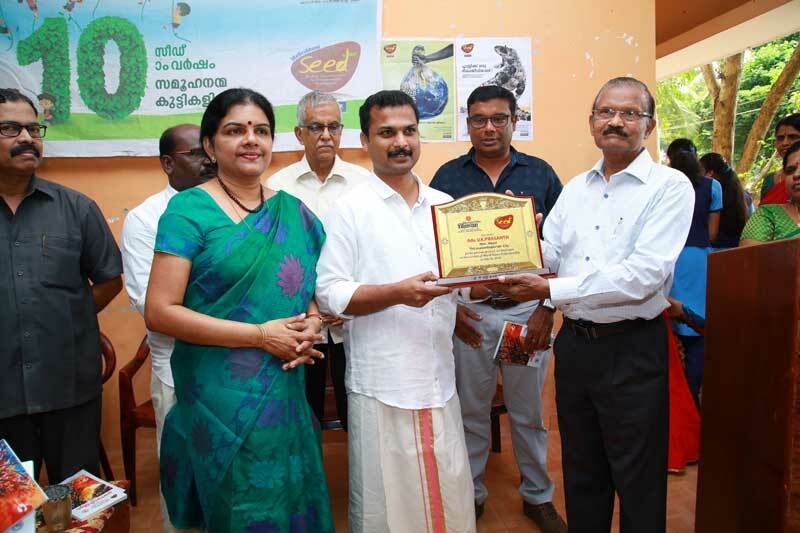 As part of the celebration, releasing of the anthology of poems “ Varnachirakukal” in accordance with Mathrubhumi SEED program, a novel initiative by Mathrubhumi to create awareness among students about preserving and protecting our Mother Nature was also done. Our Hon. Chairman Sri K S Premachandra Kurup, IAS Retd. handed over the first copy of “Varnachirakukal” to Hon. Mayor Sri. V K Prasanth.